All ingredients are exempt from any FEI restrictions. 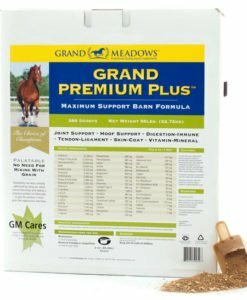 Riding and preparing your horse for a casual trail ride, exercise and training, or participating in a show should be fun for you and your horse. A hard to handle, spooky, stressed out horse will quickly ruin your enjoyment and affect the outcome of your ride or performance. 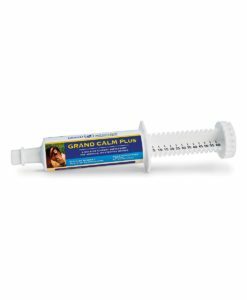 Grand Calm is a unique horse calming supplement that is drug-free and non-herbal. The formula contains 4 different sources of magnesium that provides maximum bio-availability which broaden the effects of the magnesium. The formula also includes the amino acid Theanine which is well documented as an aid to relaxation. 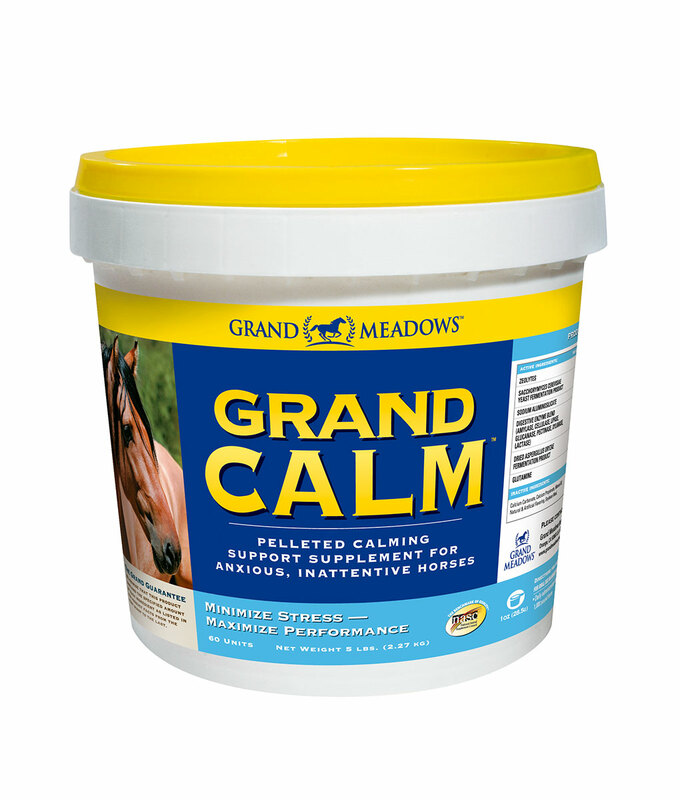 Grand Calm will help control nervousness in horses that are tense, spooky and inattentive.